What We're Reading This Month: October 2016 | LADY. Completely on accident, there seems to be a theme in this month's What We're Reading feature. These books are all wildly different in terms of content, but they share one powerful thing in common: they're all about women taking big risks in spite of seemingly insurmountable odds...sometimes to help others, sometimes to their own detriment, and sometimes both. 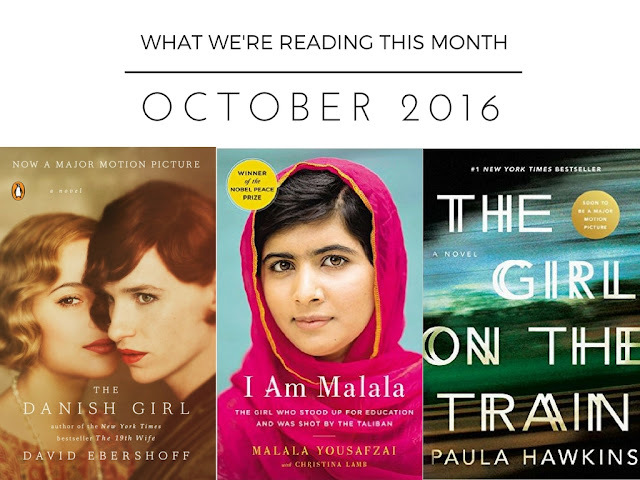 Fact or fiction, we think you're going to love the books we're reading this month. Take a look! This novel is a powerful testament to the changing seasons of love and the commitment it requires to let go. A story about a true hero who chose what was right over what was easy...and changed the world. Yes, we're behind on this one. But it was totally worth the wait. This book had us up until all hours of the night!